You drew the "The Hermit" as the first card. The main meaning of this tarot card is: Search for truth and justice. Be faithful to yourself and be in harmony with yourself. See life from a distance. Reaching maturity in solitude. Reassurance of the right way.. It generally means: Life, wisdom and maturity. 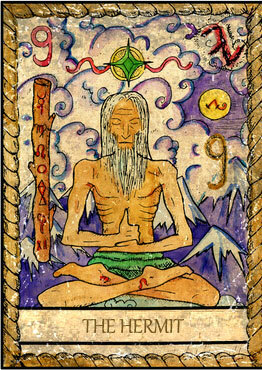 The card "The Hermit" also stands for: Intercession, prudence, concern, consolation and counsel. Reversed it points to: Concealment, politics, fear, unconscious caution, corruption, betrayal, adjustment, bribery, misdirection and tactics. You drew "9 of Cups" as second card. 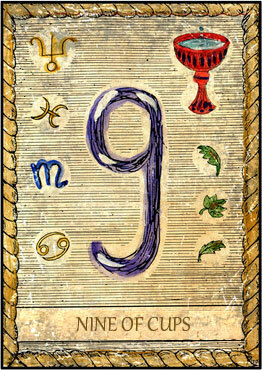 The main meaning of this tarot card is: Material things have progressed favorably. You can feel safe.. It generally means: Satisfaction, safety and precaution. Your third card is "The Sun". The main meaning of this tarot card is: State of perfect harmony. You feel comfortable and are in a good mood. A new beginning is in sight. You can love yourself more. Problems are eliminated. Wisdom found within simplicity and innocence.. It generally means: Self-affirmation, new beginnings and vitality. 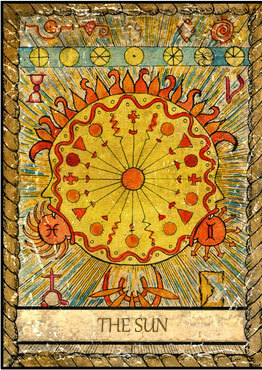 The card "The Sun" also stands for: Rebirth, joy, success, material happiness, good marriage, satisfaction, fulfillment, reward. Reversed it points to: This also means luck, but to a lesser extent. As fourth card you drew "3 of Wands". The main meaning of this tarot card is: Good prospects. Recognize where you stand and what you can still achieve. Standing on a strong foundation. Adopting long-term plans. Good cooperation.. It generally means: Very good prospects, long-term success and good trade. 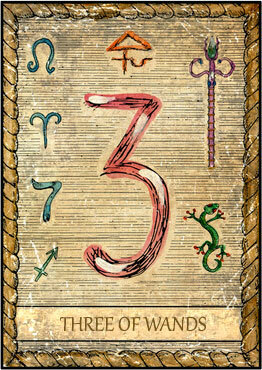 The card "3 of Wands" also stands for: Strength, effort and discovery. Reversed it points to: End of problems, setting of adversity, hardship and disappointment. Positive prospects.